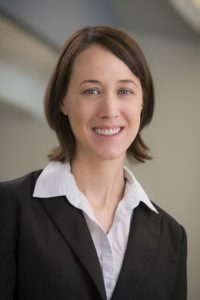 Education: M.A., International Economics, Johns Hopkins School for Advanced International Studies (SAIS), Washington, D.C.
Janine Mans specializes in public financial management, governance, and economic policy analysis. Recently, she served as a Public Expenditure Economist (key personnel) on the USAID Leadership in Public Financial Management II project, a global project supporting technical assistance activities with USAID headquarters and overseas missions. She has provided technical assistance for USAID and the World Bank on program budgeting, public expenditure management, and co-authored public expenditure reviews on the Education and Local Government sectors in Zimbabwe. Ms. Mans also supports project management functions, having served as Home Office project director on several projects, as well as acting DCOP. Before joining Nathan, Ms. Mans worked for the World Bank, where she participated in economic policy dialogue with countries in Central and East Africa; wrote chapters for public expenditure reviews for the Republic of Congo and Chad; co-wrote a labor market study for the Democratic Republic of the Congo; and designed and launched a project to improve capacity for public procurement in the Central African Republic. She was also instrumental in supporting economic reforms in public financial management and business environment reform in Burundi, and provided technical and operational support to conditional cash transfer and cash for work programs in Sierra Leone and Togo. Ms. Mans began her career as a policy analyst providing support for a micro-finance bank in Rwanda, and worked for two years as municipal development volunteer for the Peace Corps in Mali.